Roman Republic. C. Postumius. ca. 74 BC. Silver denarius. Date : ca. 74 BC. Size : 18.7 x 19.2 mm. Weight : 3.78 grams. Obverse : Head of Venus right, with a bow and quiver on her shoulder. 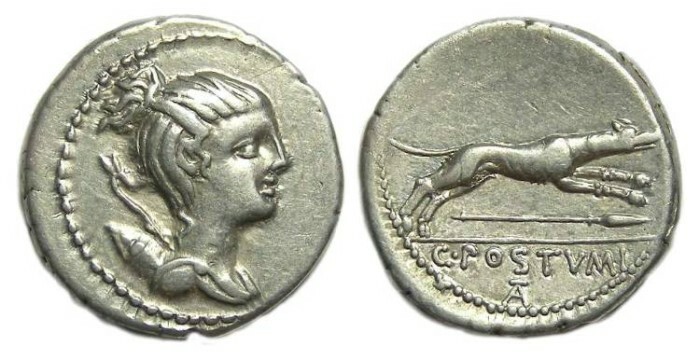 Reverse : Hound running left, with spear below, with C POSTVMI in the exergue.